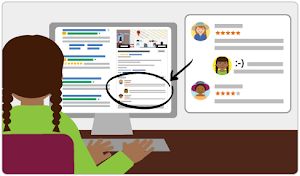 If you do not already know, Google My Business is a free tool for businesses and organizations to manage their online presence across Google, including Search and Maps. 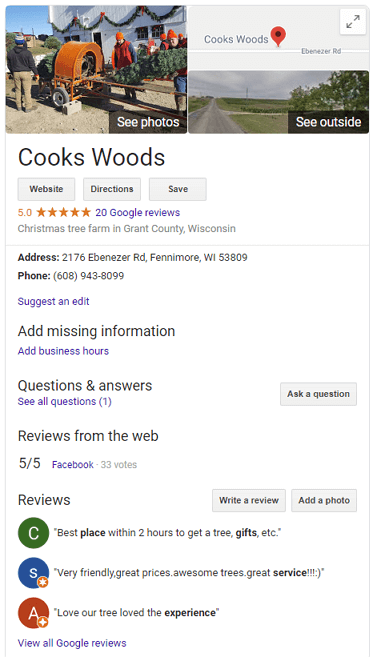 “Claiming or improving your Google My Business Listing is the singular, most important step you can take for your local business if you want to maximize results from Google Search.” I wrote that in this blog post on September 8. 2017. It is even more true today. The Google My Business concept is not new. On July 29, 2008 (Yes, over ten years ago.) I wrote a post named Google – Get Local, Get Traffic Quickly about using Google Maps Local Business Center if you want to increase local traffic. Since 2008, its name has changed several times and Google My Business is much more robust than it was back then. In 2008, there were roughly 173 million websites online. As I write this, there are over 1.9 Billion websites! Obviously, the competition for prominent display space in Google Search results has increased immensely. Request ownership of a business listing. Be as complete and accurate as possible when entering your business information. Businesses offering the most detailed and accurate information will be easier for Google to serve your listing in searches. It’s important to enter your business hours, but equally important to update them whenever they change. You may customize hours for holidays and other special events, and it is up to you to ensure they are accurate. Don’t make enemies because of incorrect hours. As it does with website SEO, Google uses a variety of signals to serve search results, and including relevant keywords and search phrases to your business listing will help considerably, since your business website is listed directly within your GMB listing. Read and respond to reviews from your customers, and post photos that show off what you do. Businesses that add photos to their listings receive 42% more requests for driving directions on Google Maps and 35% more clicks through to their websites than businesses that don’t. Reviews are now a two-way conversation between you and your customers — be the first to know when you get a new review on your local Business Profile so you can respond right away (this is extremely important). You will likely be surprised how much adding even a couple photos will help the performance of your business listing. Just do it! Save time by answering your customers’ questions before they ask. With Q&A, customers can easily ask a question right from your Business Profile on Google. To save time, you can pin frequently asked questions and highlight the top answers.